I've been challenged lately with two polarities in my thinking about youth ministry. I believe that any healthy youth ministry will be one that influences students--one that thinks critically about how and why to influence students and creates opportunities for students to grow in their faith and identity in Christ. On the other hand, I also believe that influence should not be the primary objective of any healthy youth ministry. A healthy youth ministry will be incarnational, it will meet students where they are in the same way Jesus did--to love not to influence (trusting that love changes things). So how do I find the balance between these two values? How do I stay between extremes? How do I think and consider the influences of students to create opportunities for growth and, at the same time, be whole heartedly incarnational? Perhaps the two actually go hand-in-hand. If we examine the ways in which Christ became an influence... and I say "became" because it is problematic (although popular) to say that Christ came with the primary objective of being a influence. It is better, although subtly different, to say that Christ came to be with us and then, in so doing, changed us, saved us, and redeemed us. If we examine Christ's sort of influence, we see that he was not oblivious to method and even strategy but allowed his influence to grow in his context. He was honest and loving and yet he mentored his disciples and gave plenty of opportunity for empowerment and growth. But it does not seem that Christ manipulated his way into an influencing role. For example, when Jesus goes to visit the family of his recently deceased friend Lazarus, Jesus doesn't push his way through the crowd to heal Lazarus. Although he does eventually raise his friend from the dead, his first inclination is not to influence but to love. He goes and grieves with his friends. He actually weeps for the loss of his friend. 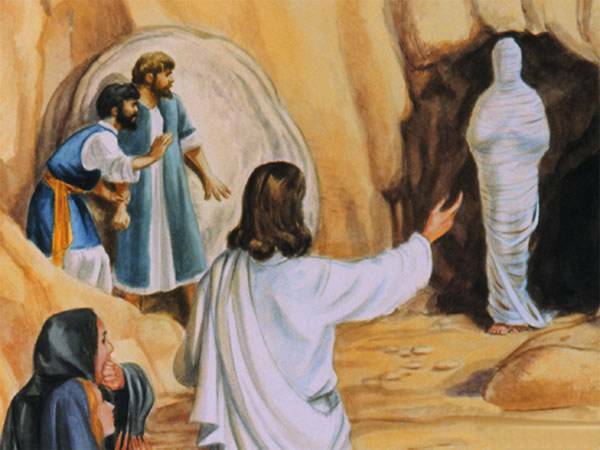 He goes to Lazarus' family in order to be with them, not to change them, and out of that kind of love comes healing and even resurrection. We see this not only in Jesus but also in the prophets. The words of the prophets did not come from a place of outward condemnation nor of disconnected and manipulative indifference but of true incarnational empathy. The prophets spoke only after they wept the tears of God for the pain of the people God loves. Their authority came from their shared identity with the people of God. Perhaps it's best to say that Christ stumbled upon, through his simple presence with the ones he loved, the opportunity to change and influence and then took that role seriously enough to think critically about it and even strategize. So perhaps a healthy youth ministry is one which is designed to stumble upon the opportunity to influence through incarnational ministry--by making love, rather than influence, the primary objective--and then is prepared to take that role seriously enough to think critically about methods of influence and programming. Our authority and capacity to influence should come from the sharing of our identity with the students we love. If we get the order wrong, however, I'm afraid we're liable to become manipulative, reflecting something other than the image of God revealed in Jesus Christ.